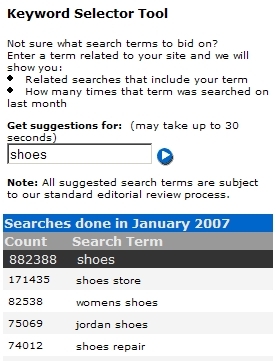 By David Rodnitzky on 07/10/2008 in "Analytics Blogs"
As first reported by Blogation’s #2 most loyal reader – Jeremy at PPCDiscussions – Google has finally added actual click volume data into their keyword suggestion tool. This data will be vastly more useful than the previous bar charts that showed click volume on a scale that could basically be described as “low, medium, and high” – perhaps a homage to the equally useless warnings from the Forest Service or Homeland Security. No doubt, I am not yet ready to high five Google completely for this move – I do have some concerns. First, if the data accuracy is anything like the accuracy of Google’s CPC estimation tool, ‘real’ numbers is too strong a word for the information. And second, I’ll be curious to see whether Google allows API users to access these stats. My guess is that they either won’t at all, or put a strict limit on the number of keyword stat calls allowed per API account. So my current view is that this is better than what was there before, but the jury is still out as to how useful this really will be. What I find most interesting, however, about the release of this data is that it comes less than a week after Yahoo finally discontinued their once awesome Overture Keyword Suggestion Tool. I’ve always thought that Yahoo was dumb not to maintain and even promote this tool – it was once a prime destination for any search engine marketer, and it gave Yahoo a lot of positive branding and traffic. So now the Yahoo tool is dead and the same data is now available instead AdWords. Translation – yet another victory for Google at Yahoo’s expense. As an aside, I’m not entirely sure why I have been so anti-Yahoo lately. I’ll try to put on a happy face soon – after I’ve submitted my proxy recommending that the Yahoo board be replaced!